Do you carry people without charging them? Church Bus or Van Ministry? Private School or Association? Non-Business PMCP? 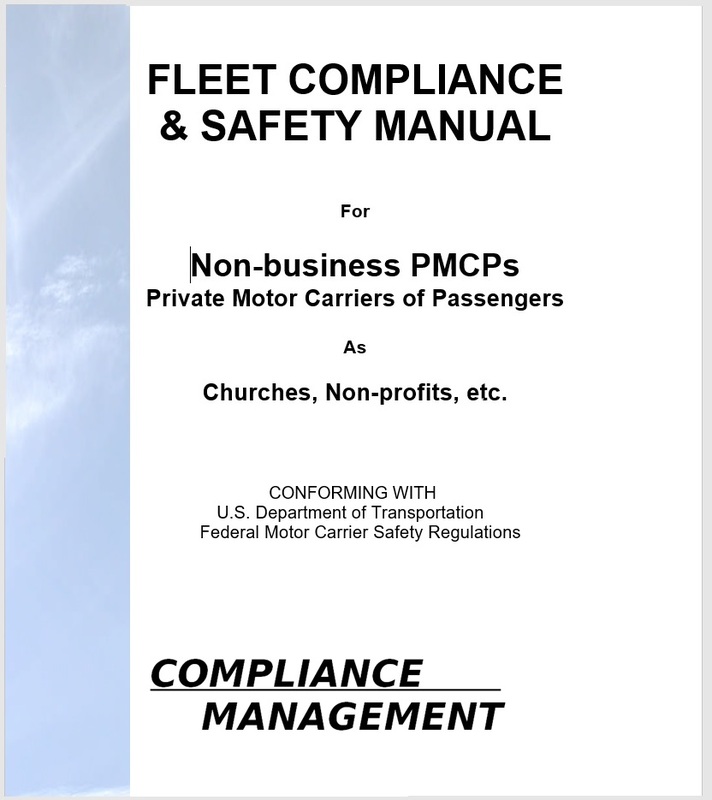 Are your operations subject to the Federal Motor Carrier Safety Regulations? • Duties of the company D.E.R. And more, much more . . . Know the requirements and become more confident.